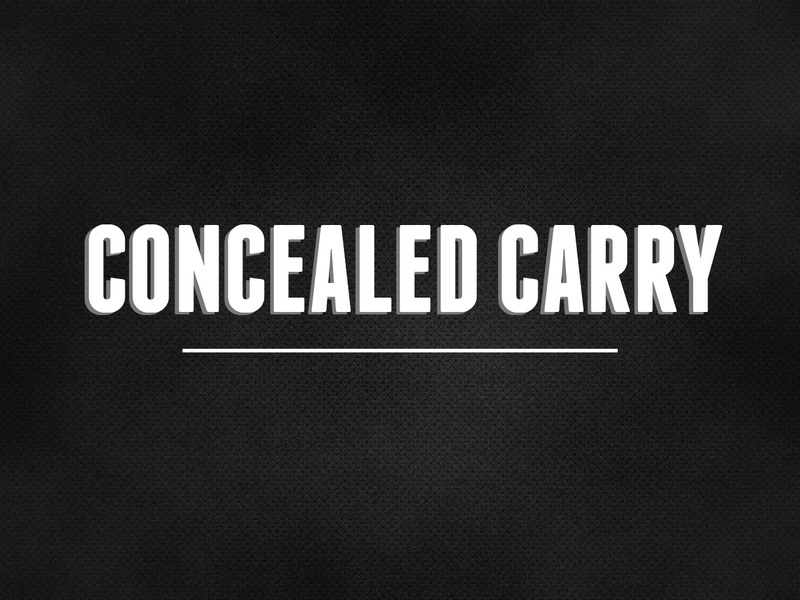 State Representative Ed Sullivan (R-Mundelein) passed legislation in the Illinois House this week to improve and clarify several aspects of the landmark legislation that gave Illinoisans the right to conceal and carry their firearms. 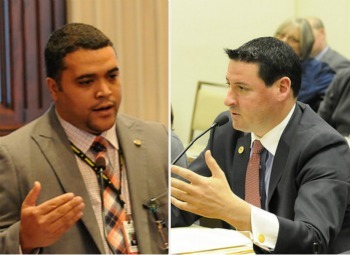 As the marathon final week of the spring legislative session in Springfield nears its finale, it hasn’t just been budget legislation that has taken the forefront. Senate Bill 836, an omnibus bill consisting of several smaller pieces of legislation, passed the House with major bipartisan support and now awaits concurrence in the Senate before being put on Gov. Rauner’s desk. 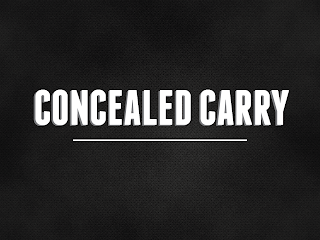 “I was very proud to be involved when we crafted the original concealed carry legislation that finally ended the infringement of 2nd Amendment rights in Illinois,” said Sullivan. “That being said, when such major legislation is created, it is always important to review it and apply follow-up changes to improve it, which is precisely the purpose of this omnibus bill. 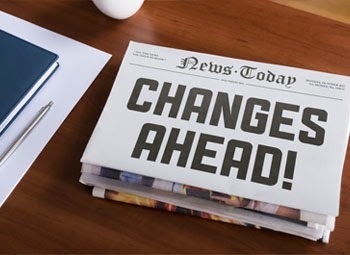 Not only does the bill clarify several ambiguous and onerous aspects of the original law, but it also makes some important safety improvements.” Read more. House, Senate Democrats introduce fake State budget. House and Senate Democrats introduced a series of spending bills for FY16 (starting July 1, 2015) that spends more than $4 billion what nonpartisan revenue estimates expect the state to bring in. 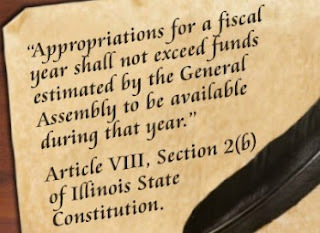 Ignoring their constitutional responsibility to enact a balanced budget, the Speaker of the House and President of the Senate rammed through spending bills they readily admit they cannot pay for, while at the same time walking away from the reform negotiations Governor Rauner has called for. 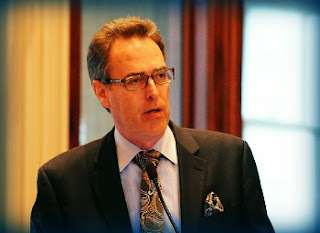 State Representative Mike Tryon has been named “Legislator of the Year” by the Illinois Public Health Association. According to the Association’s Executive Director Tom Hughes, the award is given annually to one Senator and one State Representative who have supported issues and legislation that are important to the public health field. “Representative Tryon is a leader in Environmental Health with food safety and water quality issues but has also now established himself as a leader in Diabetes education,” said Hughes. “For those reasons, and particularly for his willingness to engage the public health community in the legislative process, he has been recognized.” Read more. in crafting bipartisan body camera rules. The Illinois House passed a police reform bill Thursday that includes rules for the use of body cameras. Senate Bill 1304 passed by a 107-3 vote. It includes provisions for body camera guidelines, independent investigators, special prosecutors and new training. Illinois would be the first state in the nation to pass a comprehensive package of recommendations put forth by President Barack Obama's police task force. Rep. Elgie Sims, D-Chicago, said the bill is the result of months of negotiations between Democrats, Republicans, police organizations and community groups. Rep. John Anthony, a Plainfield Republican and former police officer, said that overall he is pleased with the compromise. Read more from the SJ-R. Throughout this series, we have highlighted finished products made here in Illinois. But before those finished products can head to the marketplace, someone has to build the tools and machines that make them possible. In Mt. Pulaski, that someone is the Inland Tool Company. Founded in 1974, Inland Tool has been in a constant state of growth. They began with an 11,000 square foot tool and die facility, which was expanded to 25,000 square feet in the early 1980s. As the business grew and diversified into welding and stamping, a new 40,000 square foot facility opened in 2000. The addition of a larger stamping facility in 2007 and more production space in 2010 brought Inland Tool’s facility to its current size. In Springfield today, accusations of a nonsensical political theater and a path to a phony budget as Republicans fired back at powerful House Speaker Mike Madigan, reports CBS 2 Chief Correspondent Jay Levine. Yesterday, Madigan proposed passing a spending plan $3 billion short of the cash to pay for it. “If we pass these budgets and send 36 billion dollars of budgets to the governor, this is insanity. 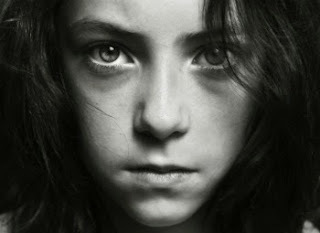 You’re insane and history will look upon you unkindly,” said Republican House Leader Jim Durkin. But that’s what Speaker Madigan has vowed to do: decide what to spend now and find the money later. “I would state my willingness to talk with governor to negotiate with the governor to find the money to pay for a spending plan that is responsive to the needs of the people of the state,” Madigan said yesterday. CBS Chicago has the story. 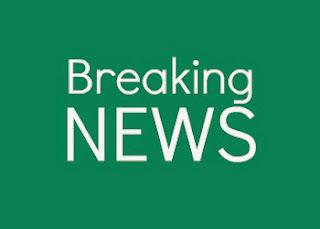 In an effort to continue to bring the “Silent Epidemic” into the forefront, State Representative Michael McAuliffe (R-Chicago) advanced legislation out of the House that would provide individuals born between the years of 1945 and 1965 with the opportunity to be tested for Hepatitis C. The measure would require physicians to offer the screening to patients who are part of the at-risk group. “Nearly seventy-five percent of those living with Hepatitis C are unaware that they are infected with the virus. Those unknowingly infected has reached such a staggering amount because of the lack of awareness in both patients and the medical community,” explained Rep. McAuliffe. “The major at-risk group, our Baby Boomers, have not had appropriate access to screening opportunities which could have life-saving implications.” Read more. 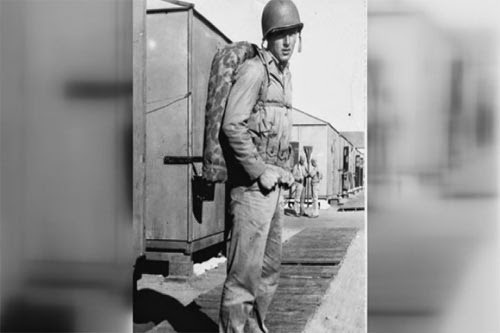 United States Marine Private Jack Redman has finally been laid to rest with full military honors in his Illinois hometown of Watseka, more than 70 years after his combat death in World War II. State Representative Tom Bennett's resolution honoring Marine Private Jack Redman's heroism and sacrifice, adopted on Memorial Day, was an fitting tribute. Today in Springfield, House Republicans joined together in a movement of silence on Memorial Day to honor those who gave their lives in service to our country. Why should anyone have to pay for poor performance? 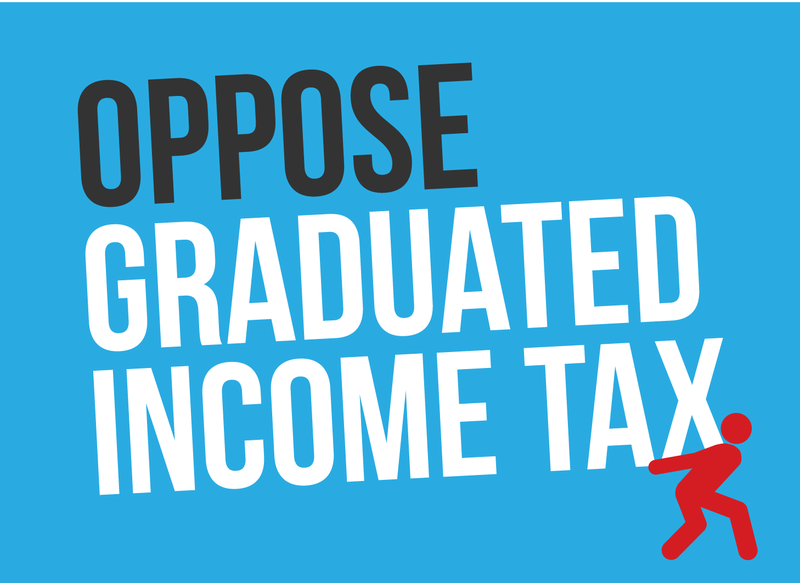 Illinoisans cannot be clearer; they do not want the state to raise taxes, any taxes, until and unless reforms are in place. Reforms that will ensure the spend-and-borrow policies of the past don’t continue. 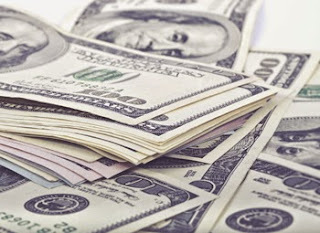 Reforms that curtail rampant abuse of state allocated grants. Reforms that encourage job growth. Taxpayers don’t trust politicians with their money and they need proof Springfield has really changed before they give the okay to increase revenue. 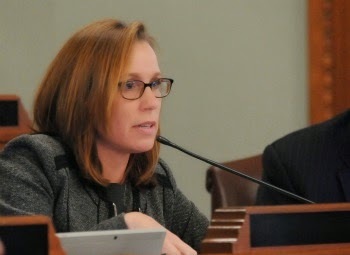 Reps. Christine Winger and Michael McAuliffe introduced HR500 this week, a measure that would reward airlines for utilizing voluntary federal Fly Quiet protocols when landing at and departing from O’Hare International Airport. The Fly Quiet Program was adopted by the City of Chicago in 1997 to reduce the noise impact on residents living around O’Hare airport. Currently, pilots and air traffic controllers are encouraged, but not mandated, to use Fly Quiet designated runways and flight tracks during nighttime hours. 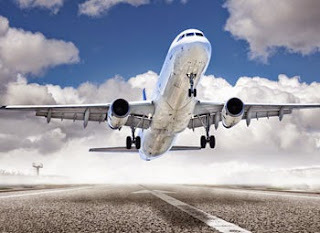 These routes direct aircraft over less-populated areas, such as forest preserves and highways, as well as commercial and industrial areas to reduce the impact of noise on residential neighborhoods. 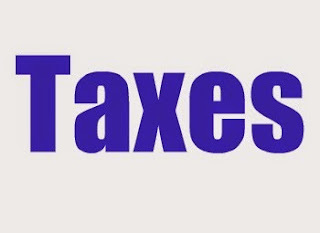 HJRCA 26, sponsored by Speaker Michael Madigan and 46 of his Democratic House colleagues that would increase income taxes by $1 Billion failed to win the required House super-majority vote on Thursday. Despite looming deadline, Democrats again refuse to pass a balanced budget for FY16. The Illinois Constitution requires the State to annually pass a balanced budget in which revenues match mandated expenditures. Strong rumors circulated on Friday, May 22 that Democrats were preparing another unbalanced budget for FY16, the fiscal year starting July 1, 2015. This budget may get filed in the week starting Memorial Day, May 25. This phony budget is expected to commit $4 billion that Illinois does not have to the Democrats’ spending priorities. Governor Bruce Rauner has proposed a different budget for Illinois and has strengthened his calls for the State’s government to live within its means. Despite deadline, Democrats again refuse to pass balanced budget for FY16. 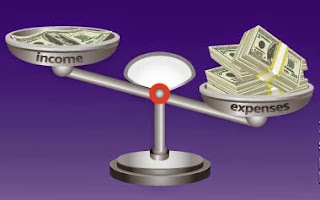 The Illinois Constitution requires that the State annually pass a balanced budget in which revenues match mandated expenditures. One way that Speaker Madigan has been Speaker for 32 of the past 34 years is by passing a series of unbalanced budgets, which have all spent money the State has not had. He has curried favor with powerful interests and forced Republicans to be the villains whenever steps are taken to prevent the spending of imaginary money. 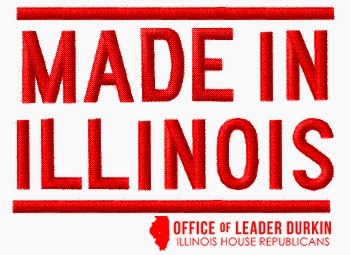 Last year, the Democrats who run the Illinois House and Senate passed a phony budget. It kept everybody happy by promising lots of spending. But it didn't raise nearly enough money to cover all that spending. The governor signed it. That was Pat Quinn. The voters saw right through it. They elected a new governor. That's Bruce Rauner. And this year, having learned their lesson, the Democrats who run the Illinois House and Senate are ... wait. What? They're going to do it all over again? They're apparently preparing to pass another phony budget, one that promises to spend much more money than the state has. And the governor? Oh, that's right. There was an election. Gov. Bruce Rauner spent his first months in office fixing the phony budget his predecessor signed. Read the Chicago Tribune editorial in its entirety. 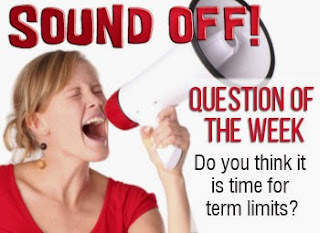 Sound Off: Should term limits be imposed on Illinois Legislators? Should term limits be imposed on Illinois Legislators? Please take a few seconds to answer our one-question survey. Click on the image below to answer. Having only spent four months on the job, the large class of House Republican freshmen came together in the Capitol today to express their disgust with the partisan political atmosphere that has engulfed Springfield. The message they came to deliver is there is no better time than now to call for term limits in Springfield. Alto Vineyards wines are grown and produced in the little Southern Illinois village of Alto Pass. Alto Vineyards is a family owned business employing its' third generation of Renzaglia's. In addition to the Renzaglia Family it employs 18-20 people to maintain its Winery, Vineyard and Retail operation. In 1982, Guy Renzaglia started the first commercial vineyard in Southern Illinois and Alto Vineyards grape growing operation began in a most unlikely way. He planted French-American hybrid grapes in an area where most doubted they could survive. Instead, the vineyard, which was located on a 13 acre patch of land in rural Alto Pass in southern Illinois, thrived and grew. 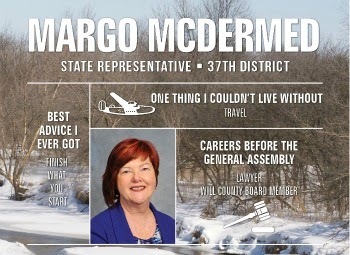 State Representative Margo McDermed was sworn into her first term of office on January 8th 2014 in the last days of the 98th General Assembly. She servers the 37th District includes all or parts of New Lenox, Mokena, Tinley Park, Frankfort, Homer Glen, Joliet, Lockport, and Orland Park. Raised in LaGrange, IL, Rep. McDermed graduated from DePaul University College of Law with highest honors. After completing law school, she enjoyed a career in corporate law that spanned 30 years, where she learned the value of hard work and gained the leadership skills necessary to tackle the issues in Springfield. State Representative Margo McDermed and her husband Edward have lived in Mokena since 1978 where they raised their two children. 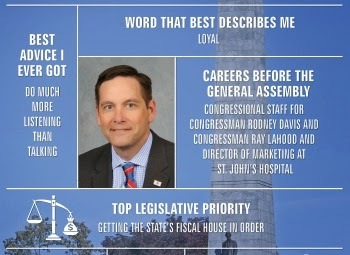 Learn about Rep. McDermed. Trick bag; no property tax relief in sight. Once again the Democrat-controlled House brought sham legislation to a vote for the sole purpose of putting Republican lawmakers in a trick bag and embarrassing the new Governor. House Republicans have long worked to provide Illinoisans with much needed and deserved property tax relief. Each year members of the House Republican Caucus introduce legislation that would deliver property tax relief and each year the Democrats block those measures. The real roadblock to property tax relief has been the Democrat-controlled General Assembly. Once again the Democrat-controlled House brought sham legislation to a vote for the sole purpose of putting Republican lawmakers in a trick bag and embarrassing the new Governor. House Republicans have long worked to provide Illinoisans with much needed and deserved property tax relief. 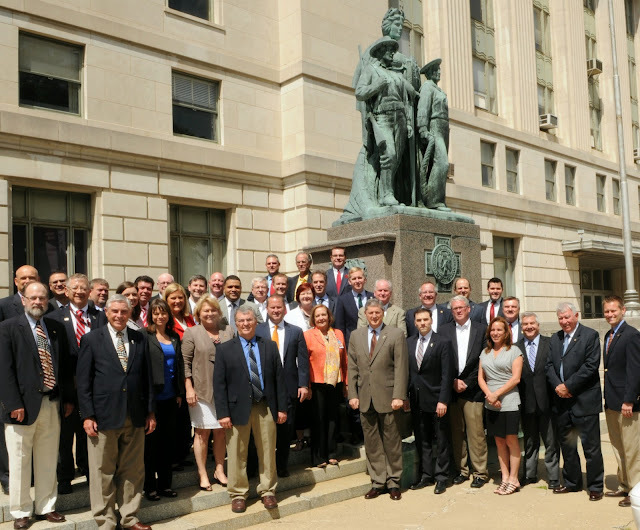 Each year members of the House Republican Caucus introduce legislation that would deliver property tax relief and each year the Democrats block those measures. The real roadblock to property tax relief has been the Democrat-controlled legislature. Rep. Barb Wheeler: "House has been turned into a circus"
State Rep. Barbara Wheeler (R-Crystal Lake) fumed on Thursday over House Speaker Michael Madigan’s recent maneuvers to shift legislative discussion on Rauner’s Turnaround Agenda priorities and budget plan from closed-door “working groups” and to move action to the House floor. “My constituents sent me to Springfield to right the sinking ship that is the financial situation of our state,” said Wheeler. 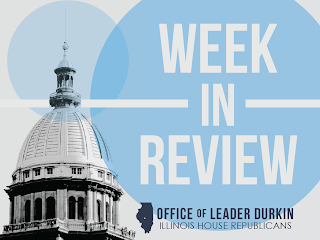 “Instead, for the second straight week the House has been turned into a circus with lopsided committees of the whole and doomed bills that are disrupting the progress we have been making in negotiations toward a budget deal.” Read more in the Illinois Observer. In a unanimous showing of support for the taxpayers who fund the College of DuPage, members of the House of Representatives approved a resolution on Thursday that will launch a thorough performance audit of the college. 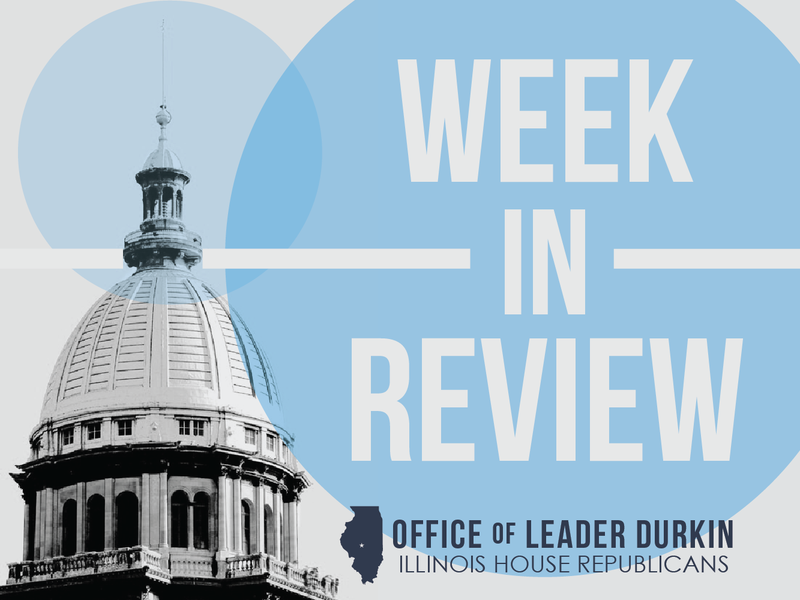 HR55, Sponsored by State Representative Jeanne Ives, was filed in response to the decision by the COD board to provide outgoing College President Dr. Robert Breuder with a $763,000 severance package in exchange for his early departure as College President. Continuing to put partisan game-playing before progress, House Speaker Michael Madigan again today moved to divide the legislature by prematurely pushing a right-to-work proposal onto the House floor, dropping the language a few short hours before the vote. This is the latest in a series of un-negotiated proposals that forced Republicans to unite in protest against Madigan and the Democrats’ game-playing. In Elgin, Illinois, near the southern edge of Representative Mike Tryon’s (R-Crystal Lake) District 66, there’s a company whose employees are nuts about nuts. John B. Sanfilippo & Son, Inc. is the parent company of Fisher Nuts, and for more than 90 years they have procured, processed and packaged some of the tastiest nuts in the world. It is a publicly traded company with products found under the Fisher Nuts, Orchard Valley Harvest, Flavor Tree and Sunshine Country brand names. 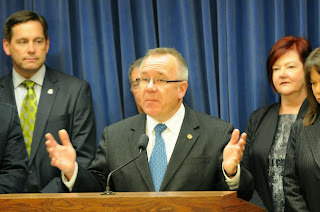 Legislation recently passed in the House by Rep. Grant Wehrli would prevent costly “double dipping” in the downstate law enforcement pension system. 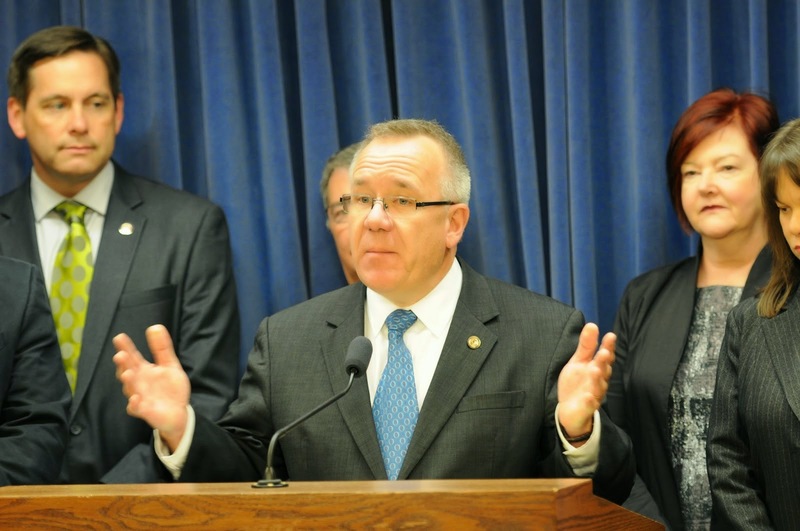 House Bill 1320 eliminates a loop hole that has allowed some retired police officers to receive an annuity from a Downstate Police Fund while at the same time receiving a full salary as a chief of police. Moving forward, it also ensures that a retired police officer cannot return to active service as a full-time police officer of any municipality without first suspending their pension. They retire as Chicago police officers and get rehired by the city, doubling up on two taxpayer subsidized paychecks, one for a civilian job and the other for a police pension. The Better Government Association and CBS 2 Investigators found that some even get hired back in a day to jobs at the top of the police department, all at a time when the police pension fund is only about 30 percent funded. Read more by CBSlocal. 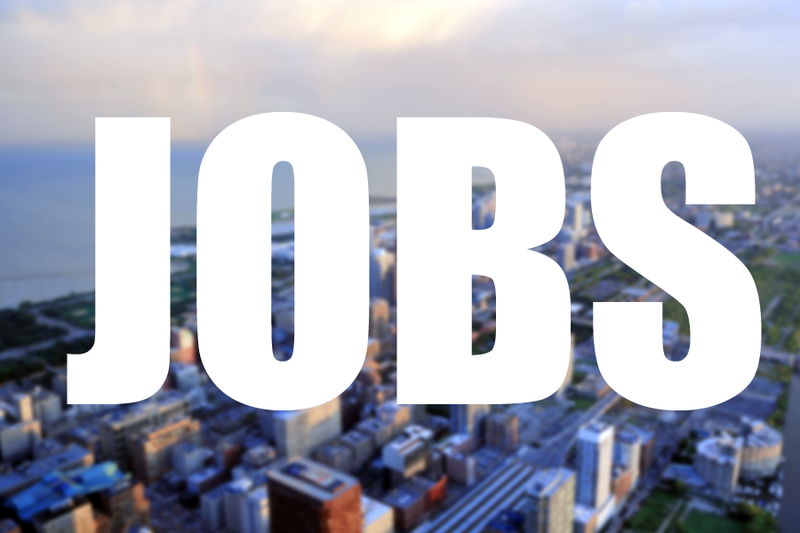 To help create and expand job opportunities for Illinois workers, business and civil justice reform groups called on lawmakers today to return fairness to the court system by implementing much needed reforms to curb lawsuit abuse. In its recently released study “Litigation Imbalance III” the Illinois Civil Justice League (ICJL) uncovered disturbing data about the growing level of lawsuit abuse occurring throughout Illinois. The study shows the problem has deepened in Cook County, intensified in Madison and St. Clair counties and taken root in downstate Jackson, Jefferson and Williamson counties. Abuse of the legal system in these counties impact the entire state because lawyers “venue shop” – directing court cases from other areas to these “friendlier” jurisdictions. State Representative Sheri Jesiel (R-Winthrop Harbor) spoke at an event at the Illinois State Capitol on April 28th that brought together more than 20 organizations that fight human trafficking to not only honor these heroes, but also to help them advocate for their cause. The event served as a means to increase public awareness of this terrible crime, to improve coordination between government agencies, law enforcement, and independent groups, and to honor the heroes who fight it every day. 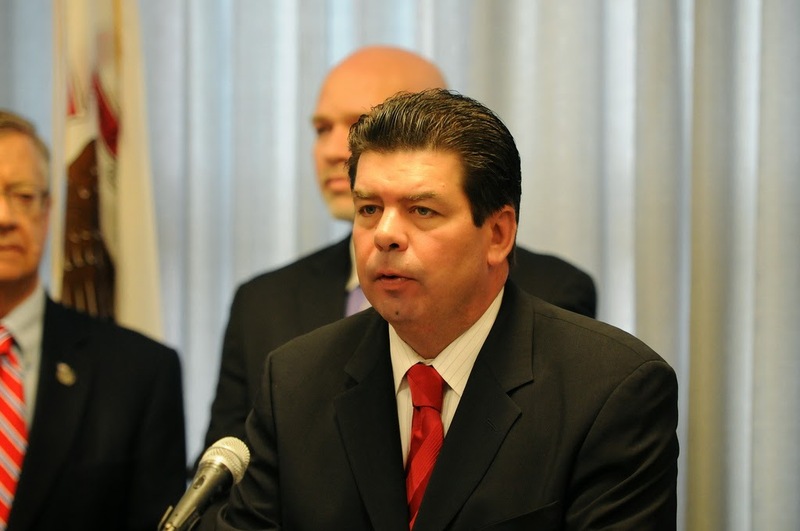 Governor Bruce Rauner announced on Friday he has nominated James Dimas as the Secretary of the Illinois Department of Human Services. Governor Bruce Rauner has selected James Dimas to become the Secretary of the Illinois Department of Human Services (IDHS). 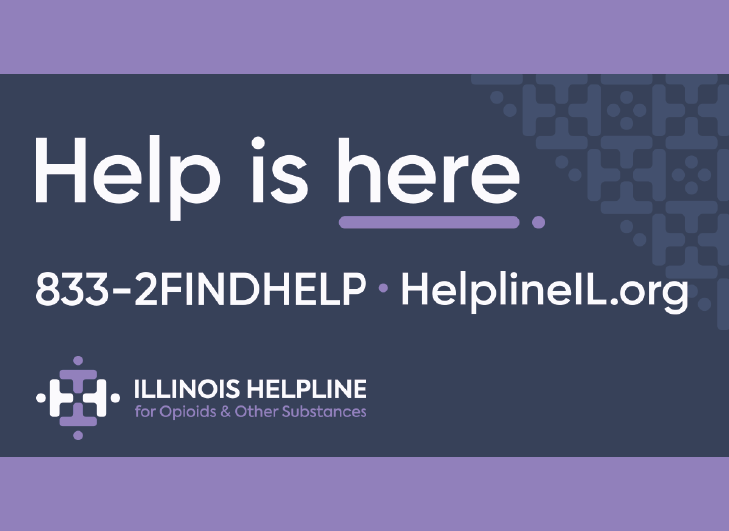 Dimas is an experienced leader in transforming human services departments at the state and local level, including Illinois. He was a primary architect in the consolidation of the current agency. Illinois Supreme Court strikes down pension reform law. On Friday, May 8, the Illinois Supreme Court unanimously reaffirmed a lower circuit court ruling on State pension system reforms contained in SB 1 (P.A. 98-599). In response to enactment of P.A. 98-599, five separate actions were filed in Cook County and Sangamon County courts to enjoin implementation of the pension reforms, claiming the reforms were unconstitutional due to a violation of the provision in the Illinois Constitution (Article XIII, Section 5) that asserts pensions are a contractual right and cannot be diminished or impaired. The five suits were subsequently consolidated into one action in Sangamon County Circuit Court. 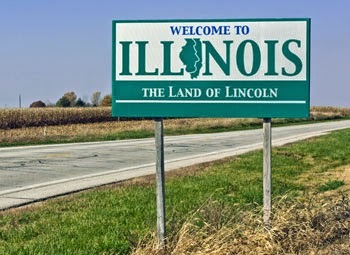 The Illinois Supreme Court on Friday struck down a 2013 law that sought to fix the nation’s worst government-employee pension crisis, a ruling that forces the state to find another way to overcome a massive budget deficit. “In enacting the provisions, the General Assembly overstepped the scope of its legislative power. This court is therefore obligated to declare those provisions invalid,” Justice Lloyd Karmeier said in writing the court’s opinion. Read more in the SunTimes. Each night, sports fans around the nation grab a barstool and settle in at their favorite watering hole to watch the game. Right there with good friends and a cold drink will be a bowl of well-known snacks from a Bloomington family business: Beer Nuts. Beer Nuts got their start back in 1953 when Russell Shirk, whose family owned the Caramel Crisp Shop in Bloomington, partnered with local businessman Eldridge Brewster to sell bags of redskin peanuts which Russell had been selling for years under the name “Shirk’s Glazed Peanuts” at National Liquor Stores in Bloomington. The delicious, re-branded snack caught on and could soon be found throughout the Midwest, and before long, the entire nation. An all too often told story played out again today in the Illinios House of Representatives; the story of a broken, backwards budgeting process intended to divide, not unite. The process began with the Governor’s introduced budget which is meant to be a starting point for negotiations through which changes are made, with a final budget arriving back on the Governor’s desk for either approval or rejection. The budget process is designed to ensure all priorities are considered and more important that all decisions are made in an open and transparent manner. State Representative Tim Butler (R-Springfield) joined the Illinois House of Representatives on March 3, 2015 and serves the 87th District. Butler, a native of Peoria, is the fourth-great grandson of Lewis Barker, a State Senator from Pope County during the first four Illinois General Assemblies. Tim is the youngest of seven children and his parents owned a small manufacturing business. Tim brings to the House more than 20 years of public service working for the people of Central Illinois. He has served as District Chief of Staff for both Congressman Rodney Davis and former Congressman Ray LaHood. He also served as the director of marketing for St. John’s Hospital in Springfield. Read more. Revenue estimate up; $26 million in State grants to be restored. The State of Illinois has faced continuous challenges in “keeping the lights on” during the final months of FY15. When the Governor’s office changed hands in January, Governor Bruce Rauner found that the FY15 budget passed by Democrat majorities and signed by former Governor Pat Quinn was drastically unbalanced. The General Assembly and the Rauner administration have worked together since that time to shift funds around to cover shortfalls. In some cases, additional cuts were imposed on some agencies and their spending programs. 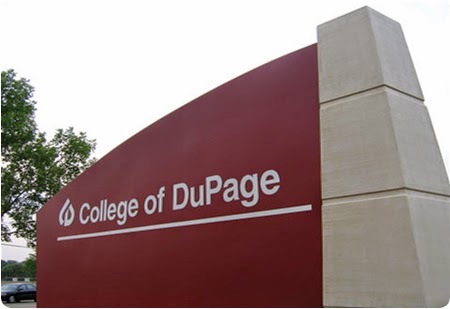 During a decidedly bitter meeting, the new College of DuPage board of trustees followed through with plans Thursday night to put the school's embattled president on paid administrative leave. The move capped a whirlwind week at the state's largest community college that saw its president, Robert Breuder, getting approval for a medical leave hours after the board announced it would vote to sideline him at Thursday's meeting. Before a crowd of about 200 people, trustees elected Katharine Hamilton as the board's new chair, putting the longtime lone board dissenter in charge. She will oversee a new majority on the seven-member board following a political shift in last month's election that included the selection of three new trustees. Hamilton was elected chair in a 4-3 vote, setting the tone for what is likely to be a divisive board. Indeed, the three-member minority, all of them returning trustees, voted against the entire agenda because it was not created with all trustees' input. Board members were at odds with one another on every issue throughout the nearly-five-hour meeting. Read more in the Chicago Tribune.